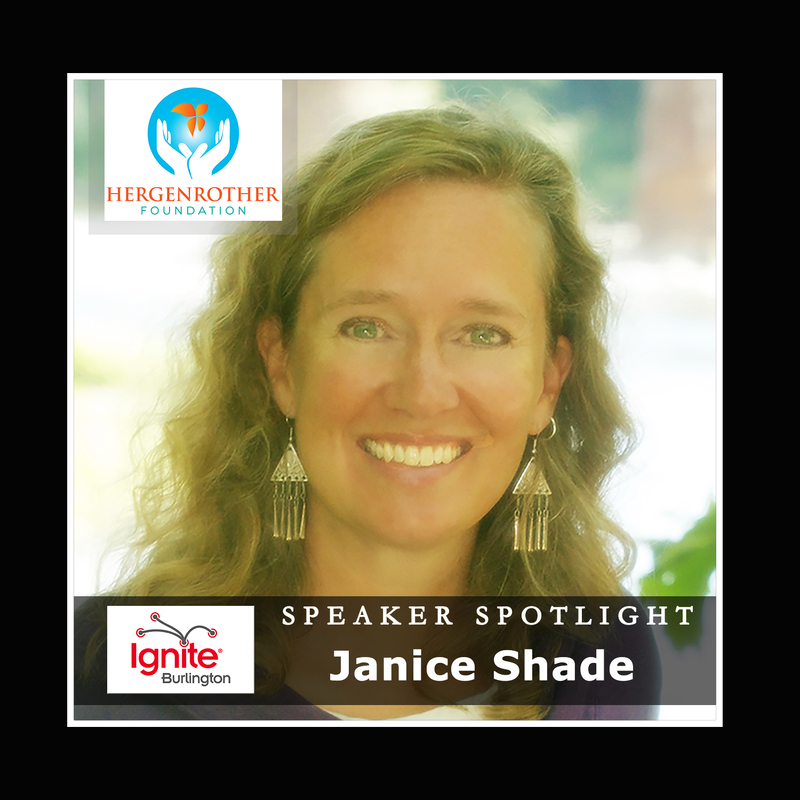 Janice Shade is an entrepreneur and brand strategist with 20 years experience in strategic planning, marketing, sales and financial analysis. Her specialty is the consumer packaged goods industry, with particular emphasis on social ventures in the natural products segment. She gained valuable formal training with companies such as Procter & Gamble, Welch’s, and Seventh Generation before launching her own entrepreneurial ventures in 2006. She considers herself a “pathological optimist” and sees obstacles as opportunities. Creating order from chaos in the pursuit of environmental and social improvement is her passion. Her entrepreneurial ventures include Local First Vermont, TrueBody Products and Milk Money, Vermont’s first “invest local” equity crowdfunding platform. Janice is an avid skier and hiker, rookie triathlete, youth soccer coach and experimental cook. She lives in Jericho, VT, with her husband and two daughters. This entry was posted in Events, Ignite Burlington, Ignite Speaker and tagged adam hergenrother, fall events in burlington vt, hergenrother enterprises, hergenrother foundation, ignite burlington, ignite burlington vt, ignite vermont, ignite vt, janice shade, local first vermont, louisa schibli, milk money, milk money vermont, truebody products, vermont entreprenuers on October 5, 2015 by Hallie. 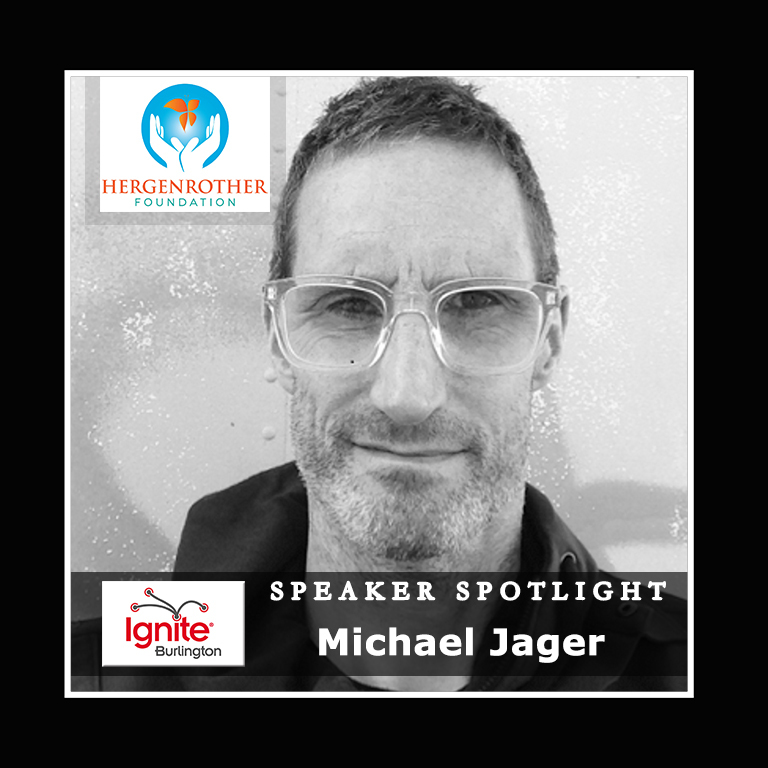 For more than twenty-five years, Michael Jager has been creating and collaborating with brands, driven by the idea that design distinction matters most. His groundbreaking work with JDK Design continues with Solidarity of Unbridled Labour, a studio that conceptualizes and realizes ideas that help guide and create culture and positive change within it. Guided by Ezra Pound’s simply but elegantly stated principle, “Make it new,” his collaborative output for a multitude of today’s most recognizable and relevant brands—including Burton Snowboards, Microsoft’s Xbox, Nike, Levi’s, Phish, MTV, Virgin, Lululemon, Yara, Seventh Generation, and Patagonia—is recognized worldwide. Through Solidarity’s own brand-design incubation platform, Michael has helped create unique home, sport, and lifestyle brands, such as Mamava and Maglianero. He is also the cofounder of the Karma Birdhouse, a creative-economy coworking space now home to more than 70 inspiring entrepreneurial entities. This entry was posted in Events, Ignite Burlington, Ignite Speaker and tagged adam hergenrother, anti-bullying campaign in america, burlington vt design studio, burlington vt fall events, herg life, hergenrother enterprises, hergenrother foundation, ignite burlington, ignite burlington vt, ignite vt, jdk designs, karma birdhouse, michael jager, michael jager brands, michael jager designs, michael jager jdk designs, solidarity of unbridled labour on October 2, 2015 by Hallie. 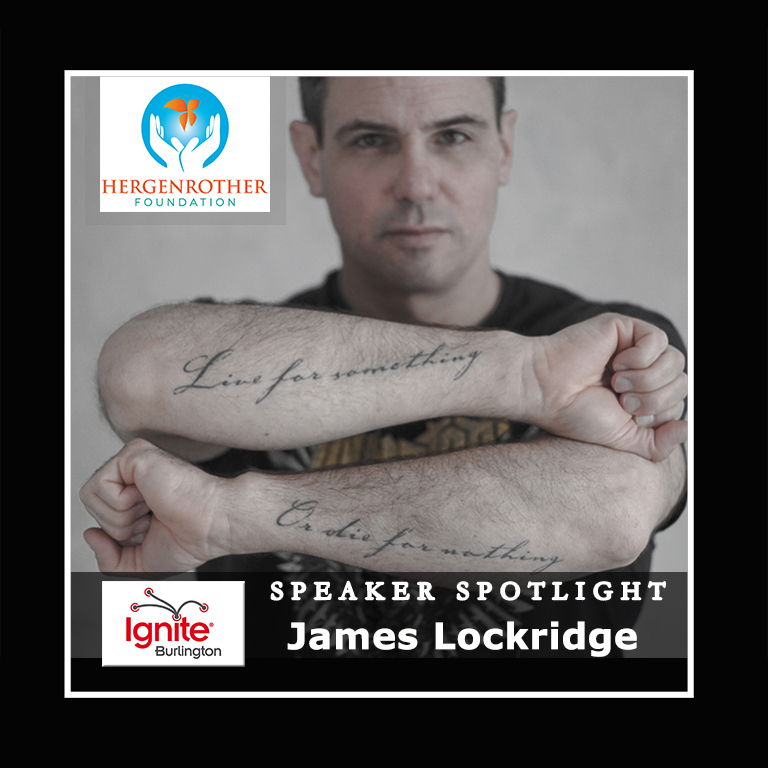 James is the Executive Director of Big Heavy World. He has directed Vermont’s Burlington-based independent, volunteer-staffed music office for 20 years, generating partnerships and channeling enthusiasm that supports Vermont-made music of every kind & stage of development. Through a music archive, record label, community radio station, music shop, events, and more, and in collaboration with community partners, he has brought together the resources that provide Vermont with a music office where it would not have one otherwise. 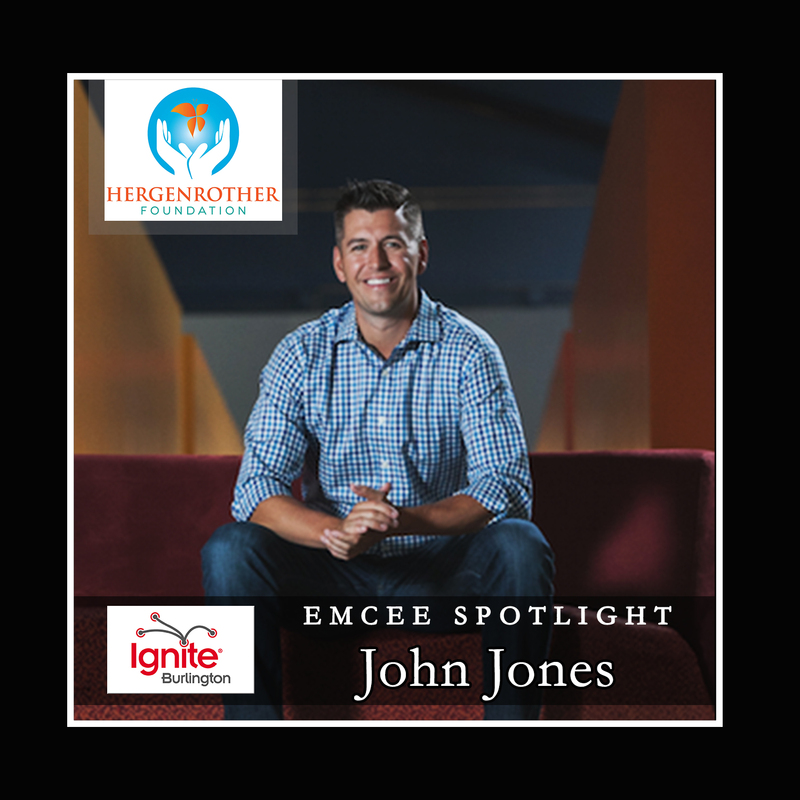 James has championed inclusion and respect for diversity, and built a widely recognized engine of support for regional music based on these values. 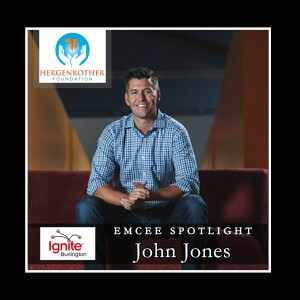 He has been visionary in recognizing the potential of combining widely different community stakeholder interests into collaborations that satisfy the goals of all involved. James is a cultural heritage advisory board member of the Champlain Valley National Heritage Partnership (Vermont’s National Heritage Area) and serves on the King Street Neighborhood Revitalization Corp. He also directs the Youth Safety Council of Vermont and coordinates the Distracted Driving Task Force of the Vermont Highway Safety Alliance and its Education/Outreach & Marketing Focus Group. This entry was posted in Events, Ignite Burlington, Ignite Speaker and tagged adam hergenrother, big heavy world, burlignton vt volunteer opportunities, burlington non-profit music, fall events in burlington, hergenrother foundation, ignite burlington, ignite burlington vt, ignite vermont, ignite vt, james lockridge, james lockridge big heavy world, mind spark, volunteer music staff in burlington on September 30, 2015 by Hallie. 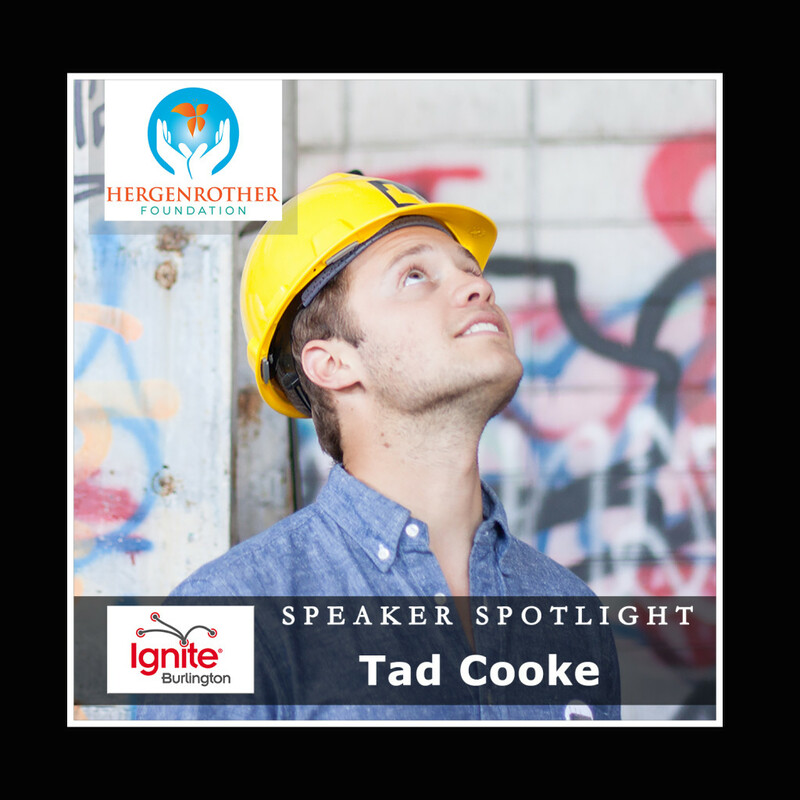 Tad is a 9th generation Vermonter, 2014 UVM graduate, and co-founder of New Moran, a Vermont non-profit formed to create a cultural landmark on Burlington’s waterfront. This entry was posted in Events, Ignite Burlington, Ignite Speaker and tagged adam hergenrother, burlington vt development, burlington waterfront redevelopment, cultural landmark on burlington's waterfront, hergenrother enterprsies, hergenrother foundation, ignite burlington 2015, ignite vt, ignite vt 2015, mind spark, moran plant, moran plant non-profit, new moran inc, tad cooke on September 28, 2015 by Hallie. Mamava, based in Burlington, Vermont was incubated at Solidarity of Unbridled Labour (formerly JDK Design), a world-renowned design studio. Mamava creates design solutions for nursing mothers on the go. We believe that a woman should be able to breastfeed her baby anywhere she wants to, and we also know there is a need, especially in high-traffic public areas, for a private and comfortable place to use a breast pump or nurse. Mamava is mama owned, made in America, and a proud member of the B Corp community. 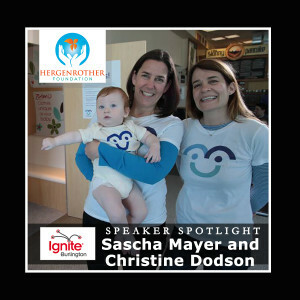 This entry was posted in Events, Ignite Burlington, Ignite Speaker and tagged adam hergenerother, breastfeeding movement, breastfeeding movement in vermont, burlington fall events, christine dodson, hergenrother foundation, igite vt, ignite burlington, jdk design, mamava, october events in burlington vt, sascha mayer, solidarity of unbridled labour, solutions for nursing mothers, vt on September 24, 2015 by Hallie. Presentation: Can Vermont be Saved? Governor Douglas served the people of Vermont for more than 35 years. He was elected to the Vermont House of Representatives after graduating from Middlebury College in 1972. He became Assistant Majority Leader in his second term and Majority Leader in his third term at the age of 25. He was Executive Assistant to Governor Richard Snelling in 1979 and 1980. The former Governor was elected Secretary of State in 1980, a post he would hold for 12 years. He was elected State Treasurer in 1994, where he served the people of Vermont for eight years. Under his leadership Vermont’s bond rating came to be the best in New England and one of the highest in the nation. 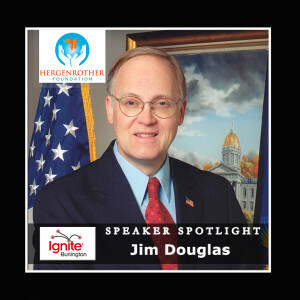 Douglas successfully sought the office of Governor in 2002 and was re-elected in 2004, 2006 and 2008. During his tenure, he focused on strengthening the state’s economy, reducing the cost of living in Vermont and protecting the state’s natural environment. He advanced groundbreaking health reforms that have made Vermont a model among the states in health care. He worked to strengthen the relationship between Vermont and Quebec and the other Canadian provinces. 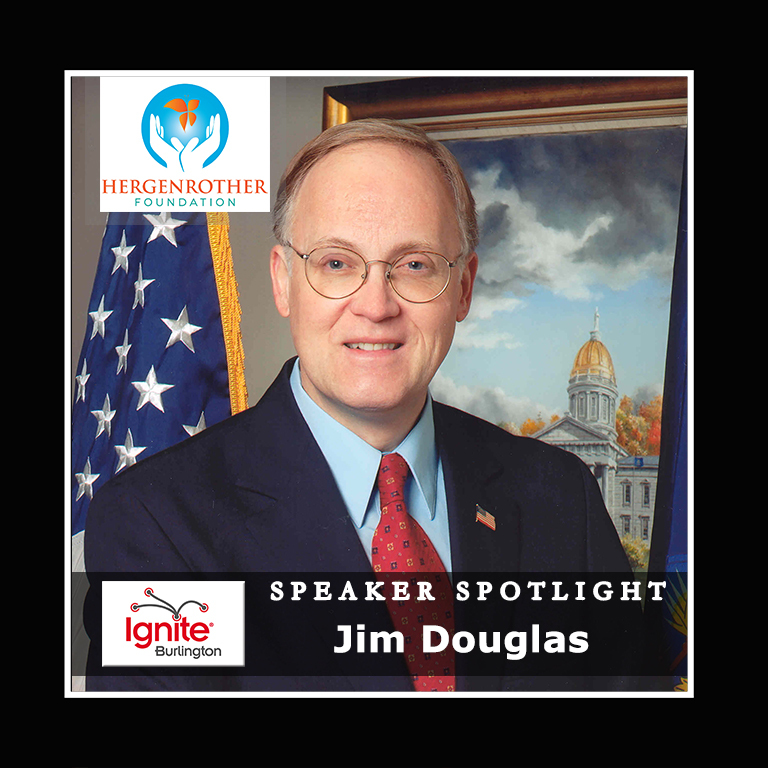 While serving as Governor, Douglas was chosen for leadership positions by his colleagues, serving as the president of the Council of State Governments, chairman (twice) of the New England Governors’ Conference and chairman of the Coalition of Northeastern Governors. He also served as the chairman of the National Governors Association. In February 2010 President Obama appointed him co-chair of the Council of Governors. Governor Douglas is now an Executive in Residence at Middlebury College. He serves on the boards of several local companies and on the Governors Advisory Council of the Bipartisan Policy Center in Washington. He continues as Town Moderator for Middlebury, a post he has held for a quarter-century. The former governor and his wife, Dorothy, have two sons and two grandsons. This entry was posted in Events, Ignite Burlington, Ignite Speaker and tagged adam hergenrother, burlington vt fall events, burlington vt governor, governor jim douglas, hergenrother enterprises, hergenrother foundation, ignite burlington, ignite burlington vt, ignite vt, jim douglass middlebury college on September 22, 2015 by Hallie. 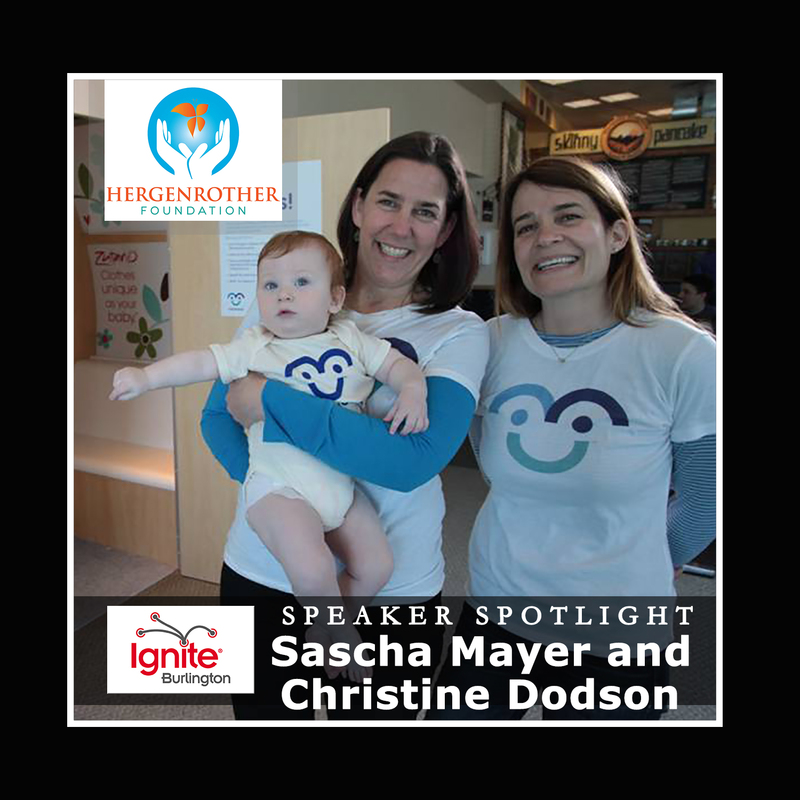 COLCHESTER, VERMONT (July 27, 2015) – Adam Hergenrother and Hergenrother Foundation are hosting the 4th Annual Ignite Burlington on Thursday October 15, 2015 at The Film House at Main Street Landing. We will announce the full speaker line-up (featuring local entrepreneurs, and business and non-profit leaders) in early September! This entry was posted in Events, Ignite Burlington, Press Release and tagged adam hergenrother, burlington vt fall events, fall events in burlington, hergenrother foundation, ignite burlington, ignite burlington 2015, ignite burlington vt, ignite vt on July 29, 2015 by Hallie. Johnny Utah has been a staple radio personality in Burlington Vermont since 2002. A Maine native, Utah moved to Burlington to attend Champlain College in 2001 where he graduated with a degree in Public Relations and Media Communications in 2004. His passion for the Burlington community and his role as a local personality shines through not just on his radio show on 99.9 The Buzz, but also in his company, DJ For Your Day which is focused on strengthening communities through music. This entry was posted in Events, Ignite Burlington and tagged 99.9 The Buzz DJ, adam hergenrother, adam hergenrother ignite, DJ for your day, hergenrother foundation, hergenrother industries, ignite burlington, ignite burlington 2014, ignite burlington vt, ignite events in vermont, ignite vermont, ignite vt, john jones, johnny utah, johnny utah dj, mind spark ignite, new england ignite events, radio personality john jones, the buzz dj john jones, vermont djs, vermont ignite on October 6, 2014 by Hallie. Taraleigh Weathers guides people who are in love with live music who want to bring the authentic expression of themselves that they let out at music festivals and shows into their everyday lives. She is a published best selling author and retreat and event producer. Basically Taraleigh loves rocking people’s lives! 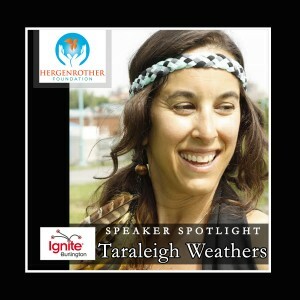 Get your own all-access pass to a joyful and abundant life by going to www.taraleighlovesyou.com and put yourself on the list. This entry was posted in Events, Ignite Burlington, Ignite Speaker and tagged adam hergenrother, adam hergenrother ignite, adam hergenrother mind spark, btv, fall events in vermont, hergenrother foundation, hergenrother industries, ignite, ignite burlington, ignite burlington vermont, ignite event in vermont, ignite speaker spotlight, ignite vt, life coach for musicians, live a joyful life, live an abundant life, mind spark, music scene life coach, retreat producer, speaker series in vermont, taraleigh loves you, taraleigh weathers, taraleigh weathers huffington post, taraleigh weathers mindbodygreen, the joy addict, vt ignite event on October 3, 2014 by Hallie.